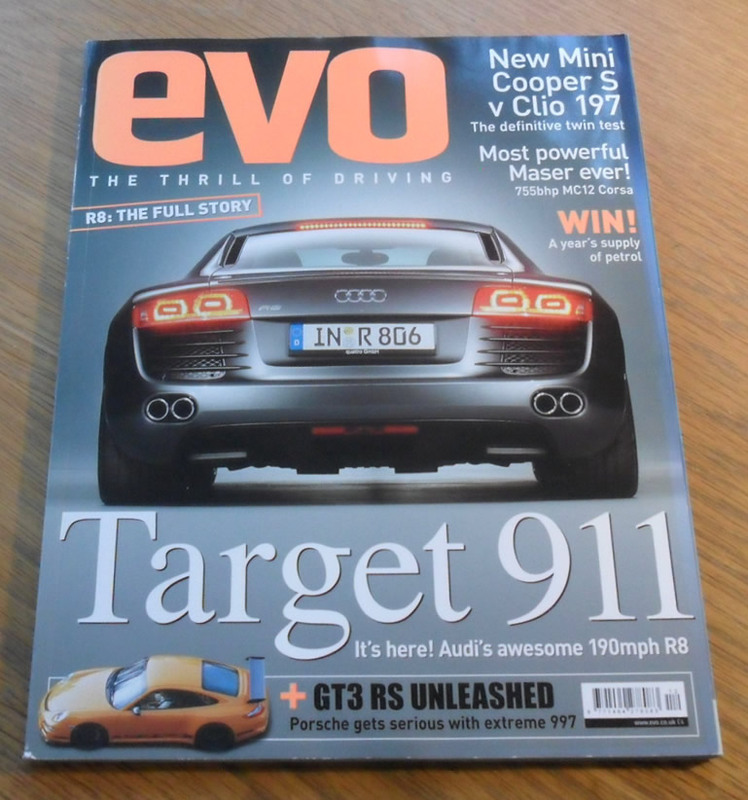 Issue 98 of the British Magazine, EVO. Each issue has a variety of features, car road tests, mechanical how-tos and articles about high performance, classic and collectors cars. 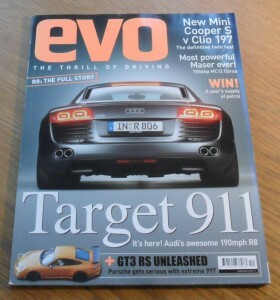 The cover feature for this issue is the AudI R8. Other articles include items on the Porsche 997 GT3, Maserati MC12 Corsa, Mini Cooper, Renault Clio 197 and many more.